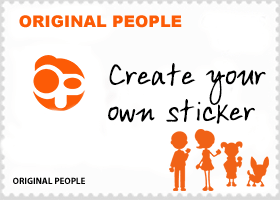 Originalpeople Contact Us | If you need help or have a question please use our on-line form! For more information or questions, please contact us via the form below. You are also welcome to submit suggestions for new figures/pets/symbols. We want EVERYONE to be able to identify themselves with our stickers. Max 2048 characters! Mandatory field! Max 100 characters! Mandatory field! Max 50 characters! Mandatory field! Invalid email address! Max 20 characters! Mandatory field! Phone number must contain 8 to 20 characters. Only numbers, spaces, parenthesis and dashes allowed.